Fire Rim Rhododendron-Hybrid Rhododendrons- Rainer Rhododendrons Nursery, Washington. 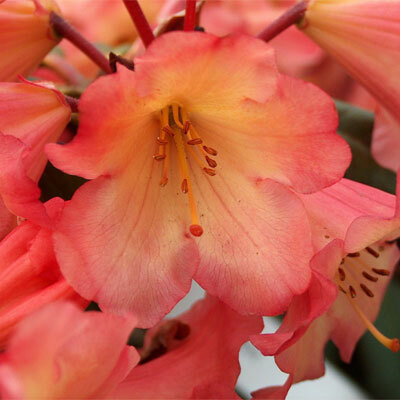 Fire Rim Rhododendron blooms have a light yellow interior and strong, purplish red edge. Dense growth habit. Very showy shrub.